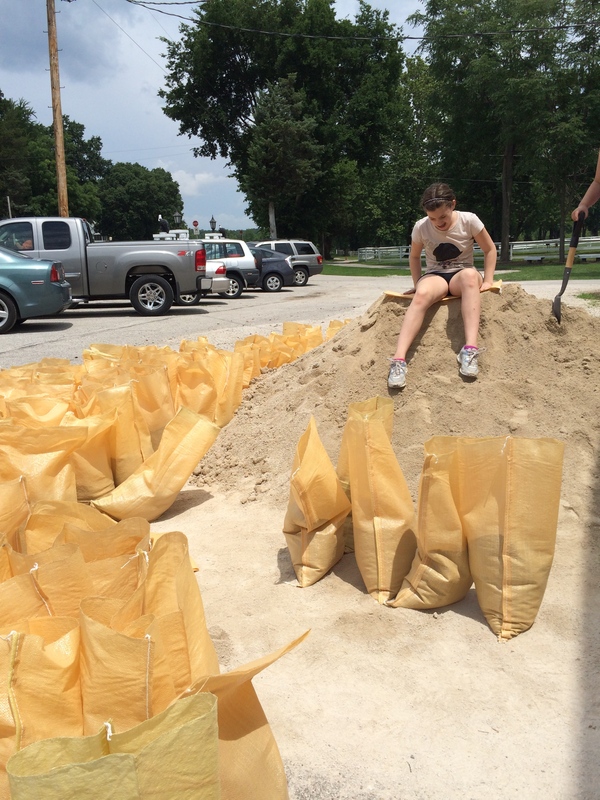 Jaia and I spent all morning helping those at Ride on St. Louis fill sand bags and move sand bags in preparation for rising river water. Jaia taking a break from filling. 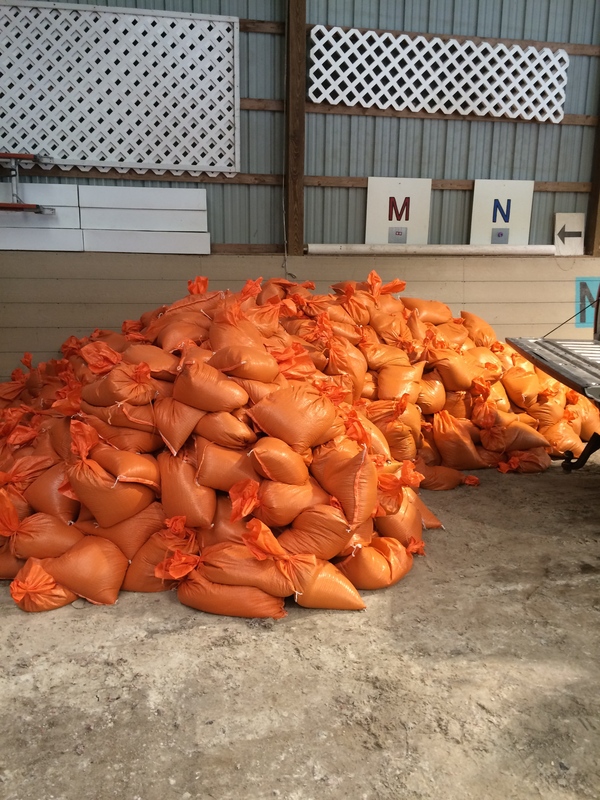 She and another little girl helped fill ALL of these bags while myself and 4 others picked up and moved too many sandbags to count. 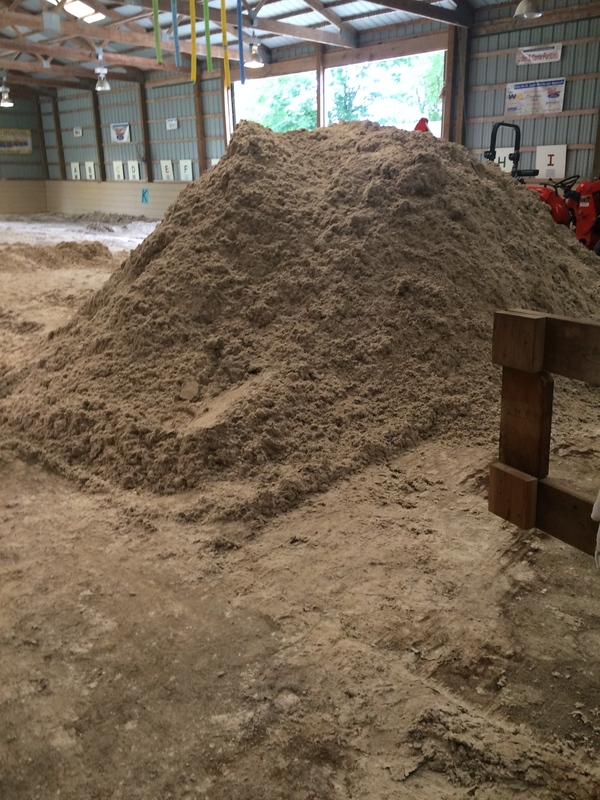 They are piling the sand into the center of the indoor arena to surround it with sandbags. The pile of sandbags we moved from one location to the arena to be used when the arena sand is piled. 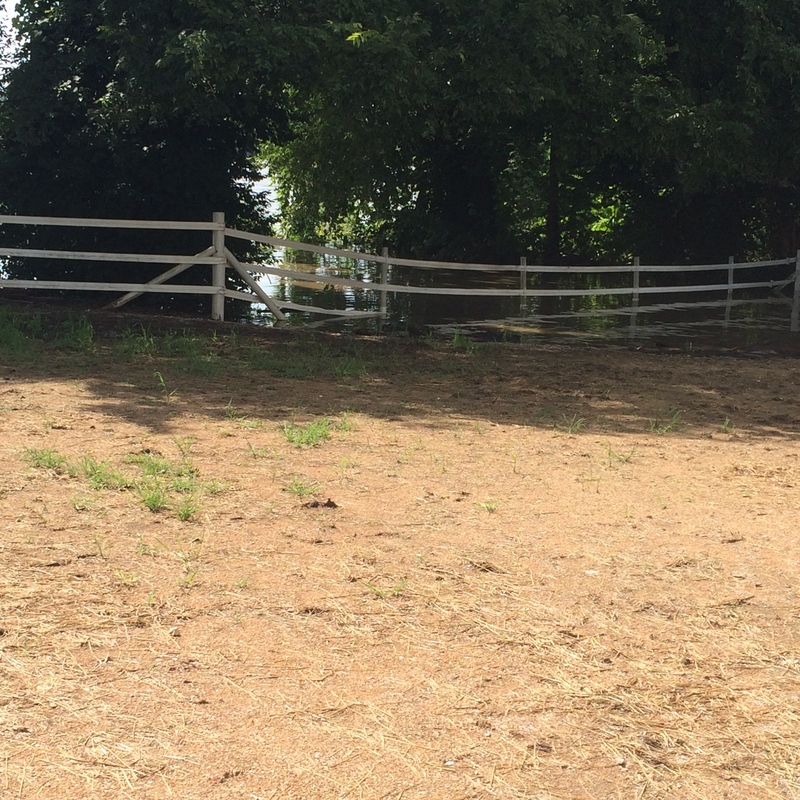 Paddock – You can see the river behind it …You normaly can’t see the river. 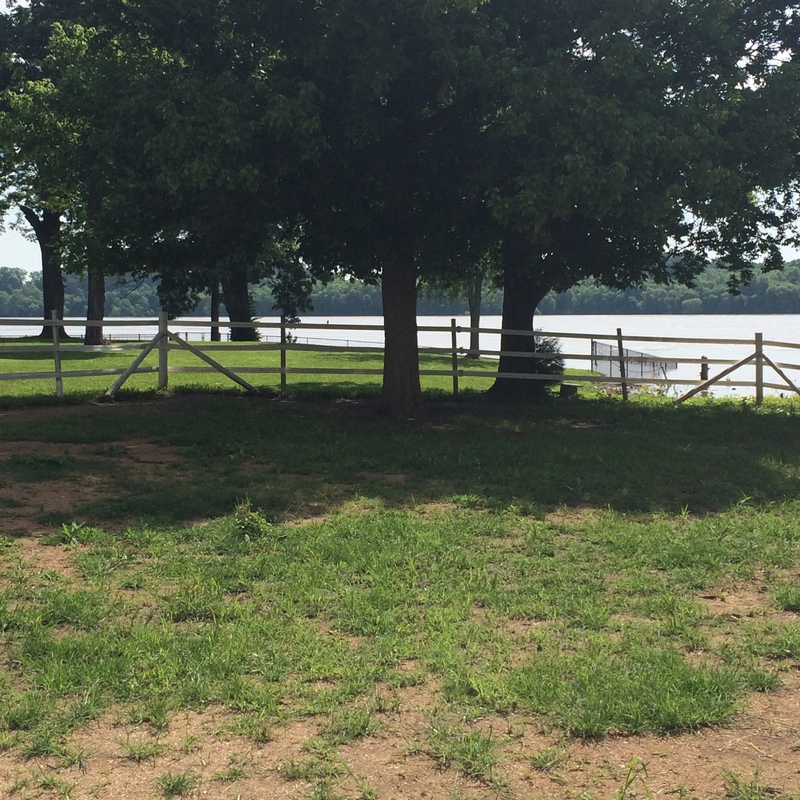 If you look into the corner of the paddock here you can see the water already encroaching …. 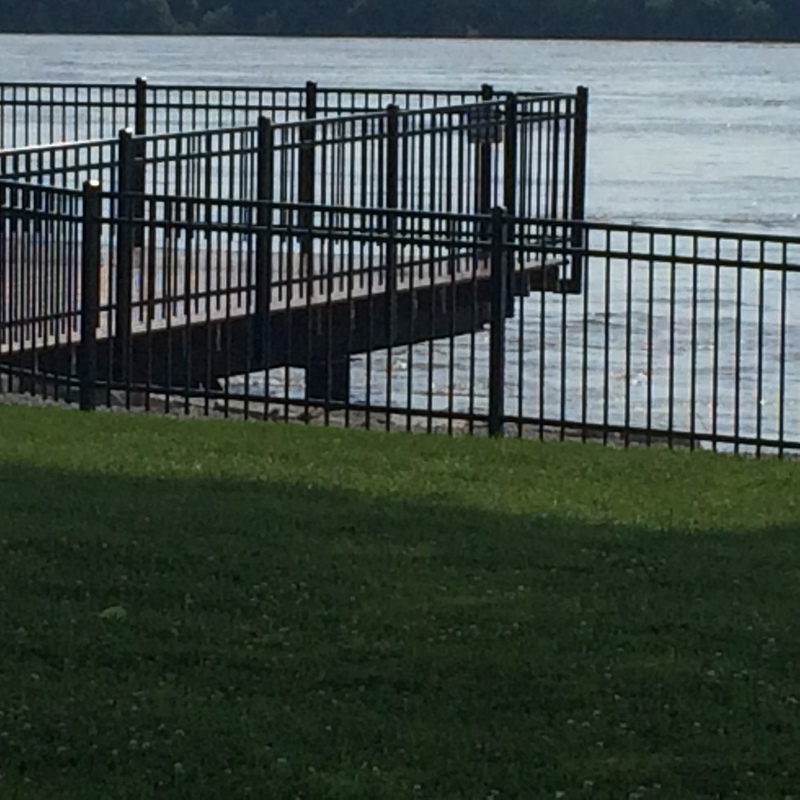 You can see how high the river is when you look at this “patio”. The water is usually a good 20? feet below the bottom of the platform. Now it’s 2? maybe 3 feet below. This is actually a stream connecting to the Mississippi River. 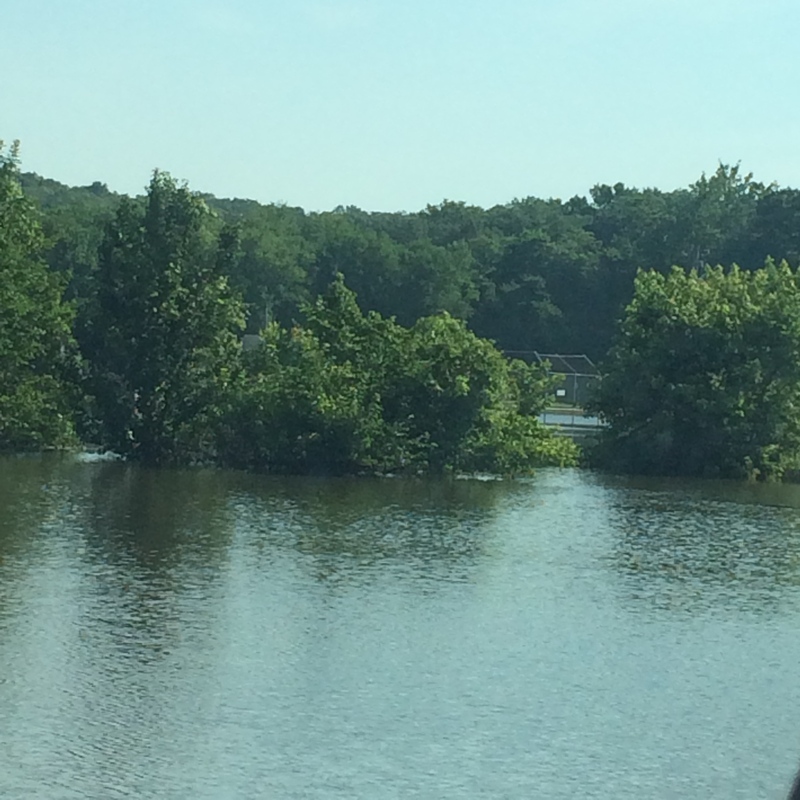 If you look closely you can see the fencing for the kids baseball park there. This part of Kimswick is actually on the opposite side of the road that the stream is on. We were driving along the road. 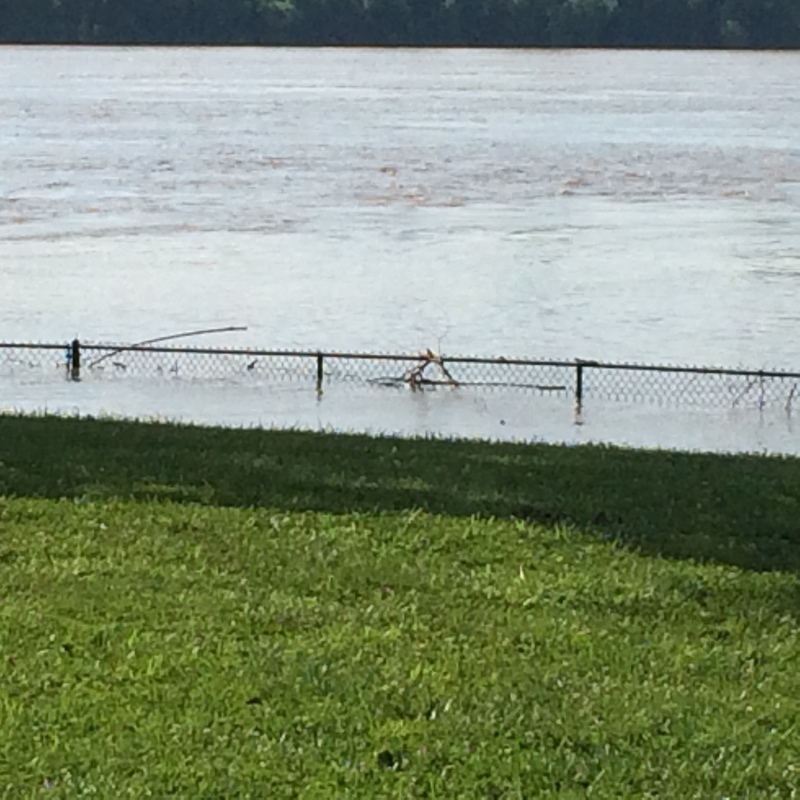 I did not go too close to the river today. 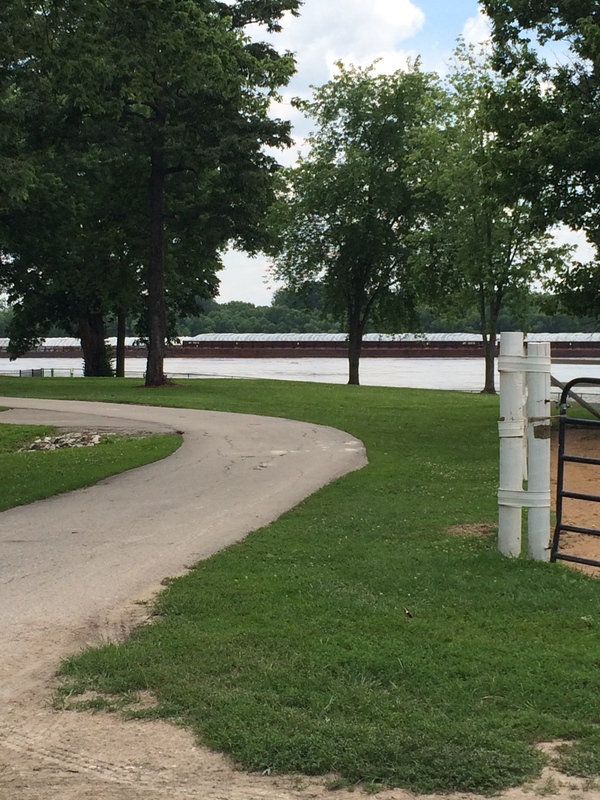 I was there to help – but I did take this picture of the barge going down stream. It’s level with the ground and it’s usually a good 20 feet below. They are being proactive and moving the horses today I believe. Better safe than sorry. And with the rain predicted this week it’s a good idea – IMO.